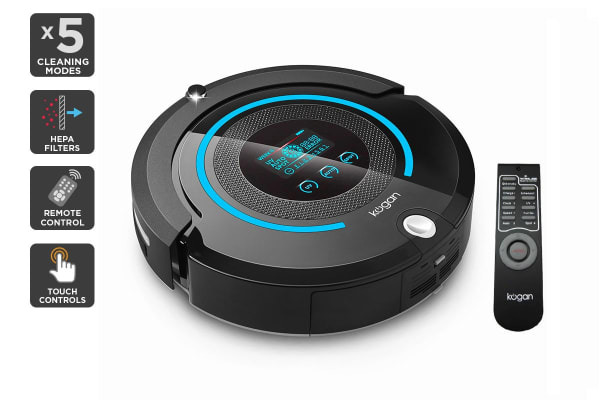 The Kogan R30 UltraClean Robot Vacuum with Mopping Function seamlessly navigates from room to room, auto-recharges and resumes until the vacuuming, mopping, sweeping and disinfecting is done. 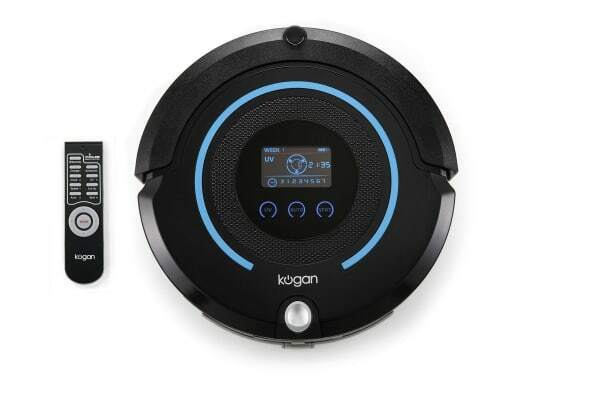 Intelligently detecting different floor types, the Kogan R30 UltraClean Robot Vacuum with Mopping Function auto-adjusts power output for carpet, hardwood, linoleum and tiles. The dual counter-rotating brushes work together to comb surfaces for dirt, dust and debris to remove deep-seated dirt and grime. 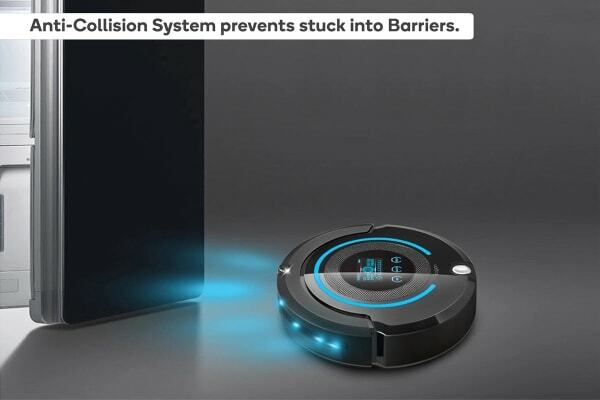 Auto-escape and anti-falling sensors emit infrared-rays detect if the R30 will get stuck under the couch or fall down a flight of steps, while the soft-touch bumpers help to protect your furniture, pet or baby from an accidental collision. Simply set the vacuum to start cleaning at your preferred time and come home to grime-free floors. The vacuum suspension technology ensures no spot is missed, easily navigating uneven terrain up to 15mm high. Emitting ultraviolet rays to help eradicate bacteria with a HEPA filter capturing up to 99.97% of dust, the R30 helps to eliminate potentially harmful particles and dust in your home. Auto Cleaning Mode – zigzags and spirals, adjusting based on the environment and surface. Spot Cleaning Mode – focuses on smaller areas to deliver a concentrated clean. Edge Cleaning Mode – catches dirt, dust and debris in hard-to-reach corners and edges. Full Go Mode – starts cleaning automatically once the battery is fully charged. Scheduling Mode – schedule the vacuum to clean at a predefined time. Excellent robot gadget. My flat never looked so clean and tidy. Negatives; it can't deal with fringes on rugs, cables and objects lying at an angle of 30 degrees to the horizontal. Performing as expected for price and is simple to use. Appears to be very well made. It was a little hard to follow the manual.